In honor of the 14th Annual Tribeca Film Festival, MoviefiedNYC brings you a daily movie still from a one of the films premiering today (4/21)—a movie we think you shouldn’t miss. Algeria, 1954. 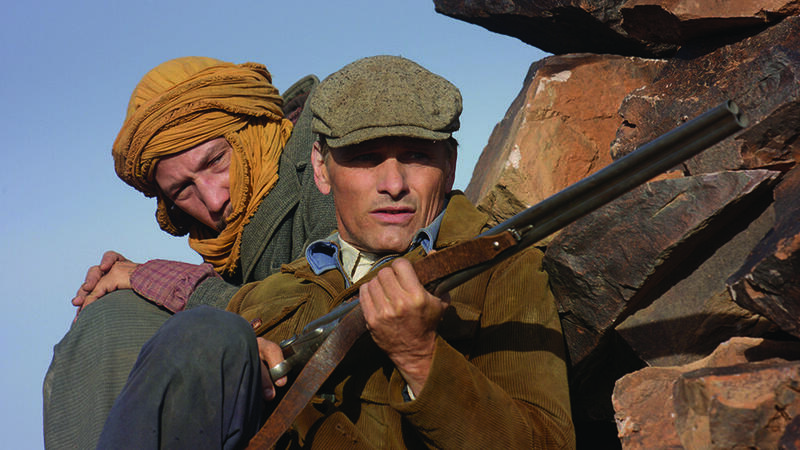 Former French Army soldier Daru (Viggo Mortensen) is attempting to lead a quiet life as a schoolteacher in a small mountainous town at the onset of the Algerian War of Independence. But when he is tasked with transporting an Algerian dissident (Reda Kateb) to a nearby city to stand trial, Daru finds his peaceful existence disrupted by the ensuing chaos that surrounds his village.